A recent Vancouver visit of 40 producers from the Union Des Grands Crus de Bordeaux was likely the single largest contingent of Bordeaux producers here at the same time. The visit was part of an ambitious North American “mission” of a sort that has not been seen in some time. The mission’s itinerary included St John's on January 21, Toronto on January 22, Montreal on January 23, New York on January 25, Chicago on January 27, Phoenix and Vancouver on January 28 (the delegation split), Los Angeles on January 29, San Francisco on January 30 and Washington DC on January 31. That is the unbelievable sort travel schedule that I would have thought could be designed only by the National Hockey League. It tells us that Bordeaux wines have become a little harder to sell. A Vancouver agent who goes to Bordeaux auctions regularly has been struck by the drop in the number of Chinese buyers he sees. That is probably one reason that the producers are working the North American market more aggressively. The other reason is that it will be harder to sell the red wines of the 2013 vintage, which is what most producers were showing. According to the vintage table published by the International Wine & Food Society, the 2013 Bordeaux reds score three out of seven – seven being the top score for a vintage. The only other vintage since 1990 to score three across the board was 2002. The 2013 vintage was judged better for whites and for Sauternes, which the IWFS rated six. The whites and Sauternes that I tasted were indeed impressive. A barrel sample of the 2013 Château De Fargues Sauternes got 93 points in my note book. That winery’s 2010 Sauternes – a top vintage – is listed in British Columbia at $86.99 a bottle. I also had high points for Château Lafaurie-Peyraguey 2013 and Château Suduiraut 2013. The latter producer has a 2001 vintage Sauternes (another top vintage) listed here for $329.99 a bottle. Vancouver has long been a good Bordeaux market. The Bordeaux’s region’s most elite tasting fraternity, the Commanderie de Bordeaux, has had a Vancouver chapter since 1975. Currently, the BC Liquor Distribution Branch lists more than 250 products from Bordeaux, starting at $15 and reaching to the stratosphere that only the great Bordeaux reds command. For example, Château Mouton Rothschild ranges between $900 and $1,600 a bottle, depending on the vintage. The prices of the top Bordeaux reds reflect the reputation and the heritage of the chateaux. One of the presenters in Vancouver was Lillian Barton-Sartorius, one of the owners of two grand cru wineries: Château Langoa-Barton and Château Léoville-Barton. The wineries have been owned by the Barton family (Hugh Johnson calls them Irish) since 1821. The wines of both are made in the Langoa-Barton winery. The grapes are from different vineyards, with Léoville-Barton classified a second growth and Langoa-Barton is a third growth. Over those years, there have been many times when the business was challenging. There was not a lot of prosperity in Bordeaux in the 1950s after the damage of the war on top of the Depression and weak vintages of the 1930s. Lillian remembers her parents positioning buckets around the chateau because the roof leaked. The Bordeaux wine economy had turned the corner by 1970 (a legendary vintage). The years since have been a long golden age for Bordeaux wines, with international demand and Robert Parker ratings generating high prices and with many châteaux changing hands. There are not many great properties still owned by the same family since 1821. A lot of new technology has been applied in both the vineyards and the châteaux over the last decade of two. Anne Cuvelier, the presenter for Château Léoville-Poyferré, spoke glowingly about the optical grape sorter that has replaced human sorters on that winery’s crush pad. The result, she says, has been significantly better screening of grapes before they go into the crusher. Perhaps this blend of new ideas and traditional ideas is what makes the wines of Bordeaux so interesting. Judging from the wines I tasted, I would not get too bent out of shape that the 2013 vintage is, as one person said to me, “the weakest in a decade.” I thought the reds were still quite interesting. I gave 90 points both to the Léoville-Barton 2013 and to the Léoville-Poyferré 2013. Currently, the Léoville- Barton 2012 is listed here for $138 a bottle and the Léoville-Poyferré 2012 is listed for $128. The 2012 vintage was rated four out of seven by the IWFS. Of course, vintages matter – up to a point. The stronger Bordeaux vintages are the ones that will age the longest. But a true collector of Bordeaux reds considers the 2012 and 2013 wines to ones to drink while the 2009 and 2010 vintages are developing in the cellar. The prices of Bordeaux wines give me a lot more pause than the vintages … but I recognize that, like race horses, one has to pay for good blood lines. The attrition of VQA wine stores continues with the surprising announcement from Simon Wosk that he is closing his SIP Wines stores on March 5, 2016, after 12 years in business. The “events” refers to Jim Pattison’s Overwaitea Food Group taking over an increasing number of VQA stores. This is happening with the active co-operation of the BC Wine Institute, which owns the 21 active VQA store licenses. Overwaitea “is acquiring our interest in the Operating Agreement with the BC Wine Institute who holds the licence,” Simon says. The grocery store path was opened last spring when the British Columbia government’s liquor policy changes allowed the sale of B.C. VQA wine – and only VQA wine – in grocery stores. Overwaitea began selling wine on April 1, 2015, in the Save-On-Foods store at South Point in Surrey. Since then, the grocery chain has added wines at a second Surrey store and at stores in Tsawwassen and in Langley. The chain is currently preparing to add wine to a grocery store on Lakeshore Road in Kelowna after having acquired the business of two Discover Wines stores “Kelowna and Kamloops” and of the VQA store at the BC Wine Museum in downtown Kelowna. It is reported that the grocer is considering adding wine to a store in West Kelowna. Kensington Square VQA Wine Store in Burnaby and the BC Wineguys in Cadboro Bay on Vancouver Island will close in February after selling their businesses to the grocery chain. Edgemont Village VQA store in North Vancouver sold its business to Overwaitea in September 2015 after 17 years. The presumed relocation to a Save-On-Foods store in North Vancouver has not yet happened. The accelerating migration of VQA outlets has been controversial among some in the industry. Last September, a coalition of wineries – the B.C. Alliance for Smart Liquor Retail Choices – asked for a six-month moratorium on wine sales in grocery stores. The fear is two-fold. Grocery stores are expected to sell more low-priced high volume wines which favour the largest producers. Secondly, international wineries have threatened action under trade agreements to blast the grocery store market wide open. The issue could become more inflamed this year. There still are 24 dormant wine store licenses (so-called Bill 22 licenses) set to be auctioned this year. These are generic licenses, not BCWI licenses, but are also expected to be taken up by grocery chains. The BC Wine Institute has strongly supported the migration of VQA licenses to grocery stores, believing that grocery stores will sell a lot more wine and that will benefit all VQA wineries. In November 2015, BCWI president Miles Prodan expressed satisfaction at sales trends so far in the grocery channel. It's been 6 months since the first BC VQA wine store-in-grocery opened at Wines of British Columbia Save-On-Foods South Point, so I thought it would be helpful to quickly summarize some results,” he wrote in a statement. 70% of current display price is between $17.39 and $24.29 (tax in). Since opening in April, South Point's weighted average sold price/bottle is $18.06 (tax in) with 76% of all wine sold >$15.00 (tax in). Clearly, BCWI thinks the model is working even if a number of VQA store owners have decided to bail out. It remains to be seen whether the grocery store staff will be as effective at wine education as the owners and the staff in the VQA stores. Owners like Tracy Gray of Discover Wines and Simon Wosk of SIP were knowledgeable and passionate about the wines in their stores. The closure of SIP Wines is a particular loss. This was the store that organized the annual Icon wine tastings that supported the super-premium or collector category of VQA reds. 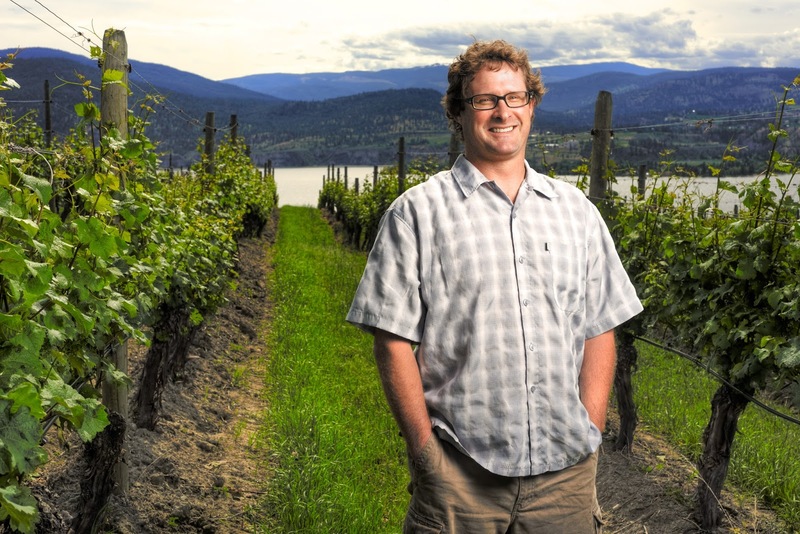 Garron Elmes, the president and winemaker at Lake Breeze Vineyards on the Naramata Bench, has scooped his peers by releasing the first wines from the 2015 vintage. The two white wines, a Sauvignon Blanc and a Pinot Gris, were released on December 10, 2015, just a few months after the harvest. “As a result of the 2015 harvest ending a full month ahead of usual, we have been able to finish and bottle a few of our customer’s favourite wines well ahead of schedule and in time for the holidays,” he announced via the Internet. When I wrote this, I was not aware of any other winery releasing its 2015 wines yet. Derek Kontkanen, the winemaker at Inniskillin Okanagan, contacted me to say that wineries in the Constellation group released a Sauvignon Blanc in November and a Pinot Blanc in December. Because the vintage was usually early, the flood of 2015 whites should begin in February. Many wineries were busy bottling in January. With the exception of Beaujolais Nouveau, wines are rarely released in the same calendar year as the vintage. Beaujolais Nouveau is an old French tradition. Here is a succinct account from www.intowine.com: “Beaujolais Nouveau began as a local phenomenon in the local bars, cafes, and bistros of Beaujolais and Lyons. Each fall the new Beaujolais would arrive with much fanfare. In pitchers filled from the growers’ barrels, wine was drunk by an eager population. It was wine made fast to drink while the better Beaujolais was taking a more leisurely course. Eventually, the government stepped into regulate the sale of all this quickly transported, free-flowing wine. “In 1938 regulations and restrictions were put in place to restrict the where, when, and how of all this carrying on. After the war years, in 1951, these regulations were revoked by the region's governing body, the Union Interprofessional des Vins de Beaujolais (UIVB), and the Beaujolais Nouveau was officially recognized. The official release date was set for November 15th. Beaujolais Nouveau was officially born. Beaujolais Nouveau peaked in this market in the mid-1980s. One year the Liquor Distribution Branch listed eight brands – and still was trying to sell the stock at Easter. Several Okanagan wineries, including Mission Hill and Calona Vineyards, also got on board with Foch Nouveau. Given the early harvest on the Okanagan in 2015, it is surprising that no producer revisited the idea to roll out a Gamay Nouveau here in late November. His two releases give consumers an early look at the quality of the 2015 wines. These wines tell me that 2015 was a very good year when the winemaker in question got on top of the challenges of a hot vintage. It was a very hot year. Grapes left on the vines too long would have had too much sugar (high potential alcohol) and not enough acidity. At Lake Breeze, Garron lined up all his ducks. Both of these whites have an acceptable 13.5% alcohol and refreshing natural acidity. They are delicious to drink now and have the structure to hold up through the year. That probably is a moot point: the wines will be sold out by midyear. Lake Breeze Sauvignon Blanc 2015 ($22 for 700 cases). The aromas of lime and herbs are echoed in the luscious tropical fruit flavours. The wine has very good weight, a kiss of minerality and refreshing acidity. 91. Lake Breeze Pinot Gris 2015 ($20 for 1,600 cases). This wine, which begins with aromas of peach and apple, is bursting with fruit flavours, including apple and citrus. The touch of residual sugar, which is very nicely balanced with acidity, adds flesh to the texture. The finish is refreshing. 91. The strong U.S. dollar and wine marketing trends in the United States have triggered several strategic moves by Bacas Family Estates, the Stewart family holding company for Quails’ Gate Estate Winery. Bacas chief executive Tony Stewart recently announced the acquisition of Envolve Winery, a 2,000-case producer with a tasting room in Sonoma. This is the company’s second Sonoma winery. In 2012 it acquired the 40,000-case Valley of the Moon winery in Glen Ellen. It was been restructured; now operating as Madrone Estate Winery, it produces three labels including Lake Sonoma and will produce the Envolve wines. Bacas is winding up Plume Wines, a 2010 joint venture with Dan Zepponi to produce primarily Napa Cabernet Sauvignon and sell it in Canada. The dramatic change in the Canada/U.S. exchange rate virtually wiped out the profitability of exporting the wine to Canada. Exporting Quails’ Gate wine to the United States is now “a definite consideration” with the Canadian dollar at 70 cents U.S. “We only sell a little bit now through Washington and Oregon, and a bit through the Earl’s Restaurants,” Stewart says. But he has been getting more and more inquiries about Quails’ Gate wine from American wine retailers. The Quails’ Gate wine strategy both in Canada and with its Sonoma production is pegged to the premium segment, or sweet spot, of the market. According to the Silicon Valley Bank’s recent State of the Industry report, this segment is healthy and is forecast to grow between nine and 13% this year. Bottle prices will rise four to eight percent in 2016 for wine selling for more than $10 a bottle, while volumes and prices will drop at lower price points. Tony Stewart is picking up those signals when considering exporting more Quails’ Gate wines. The winery’s current production is about 55,000 cases a year. Envolve Winery was founded in 2008 by members of the Benziger family with a partner. It was acquired by Bacas primarily for its Sonoma tasting room. “We were looking for a place to be able to have Lake Sonoma wines tasted and poured, a direct to consumer experience,” Stewart says. Bacas bought Valley of the Moon and Lake Sonoma Winery in 2012 from F. Korbel & Sons. Both are among the oldest brands in Sonoma (Valley of the Moon was established in 1863). The Stewart family completed a renovation of the historic Madrone Vineyards Estate at the former Valley of the Moon Winery in the fall of 2014, adding a small-lot winery within the original barrel cellar built in 1887. The winery’s hospitality center at Glen Ellen also was remodelled. Lake Sonoma formerly had a tasting room in Healdsburg but that has closed several years earlier, with a devastating impact on the membership of the Valley of the Moon and Lake Sonoma wine clubs. Membership had collapsed to 200 from 5,000. A healthy wine club is key to selling directly to consumers rather than being squeezed by distributors in the ultra-competitive wholesale wine market in the United States. Valley of the Moon was renamed Madrone Estate Winery (another historic Sonoma name) after the Stewart family bought it in 2012. Now, Valley of the Moon is commercial tier of wines under the Madrone umbrella. The winery also produces two premium tiers, including an upper end reserve tier. Envolve also has an 800-member wine club; that was another of its attractions. The wine club business has been illuminating, even though Quails’ Gate has a thriving wine club with about 1,400 members. For both Quails’ Gate and the Sonoma wineries, the wine clubs and the tasting rooms are fundamental for profitable direct-to-consumer sales. The Madrone and Lake Sonoma wines also sell primarily the DTC channels and to restaurants. To conclude, here are notes on recent wines released by Quails’ Gate in the Canadian market. Quails’ Gate Chardonnay 2014 ($20.49). This crisp and refreshing Chardonnay begins with aromas of tangerine, apple and peach with a hint of butterscotch. On the palate, the wine has flavours of citrus, melon and apple with a very subtle toasty note. The flavours are bright, with a vivid, clean focus. The finish lingers. 91. Quails’ Gate Merlot 2013 ($21.79 for 3,865 cases). Dark in hue, the wine has appealing aromas of cassis, blueberry and blackberry. On the palate, there are flavours of black cherry, black currants and vanilla. The texture is firm and concentrated. There is a spicy finish, with notes of chocolate and cedar. 91. Quails’ Gate Pinot Noir 2013 ($24.39 for 4,345 cases). The wine begins with aromas of cherry, along with the earthy notes that aficionados call forest floor. The flavours are rich with layers of dark fruit and spice on the finish. The texture is still youthfully firm. This wine benefits from decanting or from cellaring. 90. Quails’ Gate Old Vines Foch Reserve 2013 ($34.79 for 1,345 six packs). This has been something of a cult wine since the first vintage in 1994. It is a bold wine, almost black in colour and boldly oaked. It delivers a huge spoon of sweet fruit (black cherry, plum) and chocolate to the palate. The oak tannins give the wine a firm structure. A take-no-prisoners wine like this can handle strong flavoured meats, such as lamb or venison. 92. Quails’ Gate Fortified Vintage Foch 2013 ($18.17 for 420 cases of 750 ml). The wine begins with aromas of plum and liquorice. It is big and fleshy on the palate, with flavours of plum and fig that mingle with chocolate on the spicy finish. 90. SpierHead Winery president Bill Knutson accompanied the winery’s latest release of three Pinot Noirs with his usual informative note on what is happening in the SpierHead vineyard. “The Kelowna area is emerging, or perhaps has emerged, as one of the most suitable regions in British Columbia for the production of Pinot Noir,” he wrote. By coincidence, I recently learned that Quails’ Gate Estate Winery has just purchased about 100 acres of vineyard land in East Kelowna, to be planted during the next five or six years. About 40 acres will be planted with Pinot Noir. That is confirmation from a leading Pinot Noir producer that Bill is correct. The winery currently grows Dijon clones 115, 667, 777 and 828, as well as the Pommard clone. The SpierHead Pinot Noir that keeps the lights on its white label Okanagan Valley appellation Pinot Noir. In the 2014 vintage, the winery produced 900 cases, which is about 60% of the winery’s production. The trio of 2014 releases includes a vineyard-designated Pinot Noir: Gentleman Farmer Vineyard Saddle Block. Gentleman Farmer is the name of the vineyard where SpierHead planted its original four acres of Pinot Noir in a site contoured like a saddle. Part of SpierHead’s strategy is to develop a small group of vineyard-designated Pinot Noirs. A second was made in 2014, but not yet released, from the Golden Retreat Vineyard in Summerland. The third wine in this release package is the winery’s second vintage designated as Pinot Noir Cuvée, a selection of the best barrels in the cellar. “We produce the Cuvée in small quantity with the goal of creating a wine that will be worthy of mention along side the top Pinot Noirs in B.C.,” Bill writes. I would say SpierHead has succeeded in that objective. SpierHead Pinot Noir 2014 ($23 for 900 cases). This is clones 115, 667 and Pommard, barrel-aged for 10 months in French oak. The wine begins with aromas of cherry and raspberry. There are bright and vibrant red fruit flavours on the palate, with a hint of oak. The texture is still firm, a signature of a youthful Pinot Noir that can be aged for several years. 88. SpierHead Pinot Noir 2014 GFV Saddle Block ($27 for 211 cases). This is 34% clone 115, 33% clone 777 and 33% clone 828, also aged 10 months in French oak. This dark-hued wine has good concentration and weight. It begins with aromas of cherries. This is echoed on the palate, along with plum and mocha. Decanting fleshed out the texture; this is definitely a wine to cellar for several years. 91. SpierHead Pinot Noir Cuvée 2014 ($32 for 274 cases). The winery also bottled 48 Magnums and 12 Double Magnums. This is 46% clone 115, 21% clone 777. 17% clone 828 and eight percent each of clone 667 and Pommard clone, aged 10 months in French oak. The wine’s rich colour is immediately inviting, as are the complex aromas of cherry, strawberry and raspberry that are echoed in the flavours. The wine is concentrated and the texture is seductive, as it should in a fine Pinot Noir. There is a lingering finish with notes of spice, red fruit and mocha. The wine will cellar for seven years; the large format bottle even longer. 92. Nanaimo’s Chateau Wolff Estate Winery, which has been dormant since founder Harry von Wolff died in 2005, has been revived brilliantly by Ontarians Matt and Natalie Riga. They opened their renovated tasting room last summer. Their debut vintage of 2014 was about 300 cases and most of those wines are entirely or almost sold out. In 2015, they have raised production to about 550 cases, thanks to their Herculean work to restore a vineyard that had fallen into neglect. They have chosen to revive the memory of the founder both by keeping his original name for the winery and by retaining some of his artefacts. Harry also operated a store specializing in western-style garments and he was often garbed in those styles. One of Harry’s Stetsons now hangs on the tasting room wall. It is one of those strange coincidences that Harry was born in Riga, the capital of Latvia, while the surname of the current owners is Riga. Matt was born in Trenton, Ontario, in 1981 while Natalie is from London, Ontario. Both set out on career paths quite unrelated to wine. Matt, with a degree in sociology and a minor in criminology, spent several years as a youth counsellor in Victoria. Natalie has a sociology degree from the University of Victoria. They first came to Victoria in 2007 to visit friends and fell in love with Vancouver Island. “We decided we were going to stay there fulltime,” Natalie says. That plan was upset in 2009 by a health crisis in Matt’s family, causing the couple to return to Trenton. “That took us on a whole other journey,” Natalie. Matt had grown up working in a popular Italian restaurant owned by an uncle and aunt. So in 2010 Matt and Natalie opened their own restaurant, The Port Bistro. “We had been talking about a small restaurant in Victoria,” Matt says. “We both love cooking and everything that goes along with that.” Their bistro, which served what they called gourmet comfort food, also put them in touch with the wineries in nearby Prince Edward County. That fired their interest in a winemaking career. Soon they were exploring the wineries and volunteering to help at crush. After running the bistro for two and a half years, they decided against careers as restaurateurs. They began searching for winery opportunities, first in Prince Edward County, then Niagara and finally on Vancouver Island. An internet search led them to Chateau Wolff which Sotheby’s International Realty had listed for $859,000. Located on the western outskirts of Nanaimo, the property included five acres of vines, most planted in 1990. The mature vineyard appealed to Matt and Natalie. “Old vines produce less wine but they produce better wine,” he says. 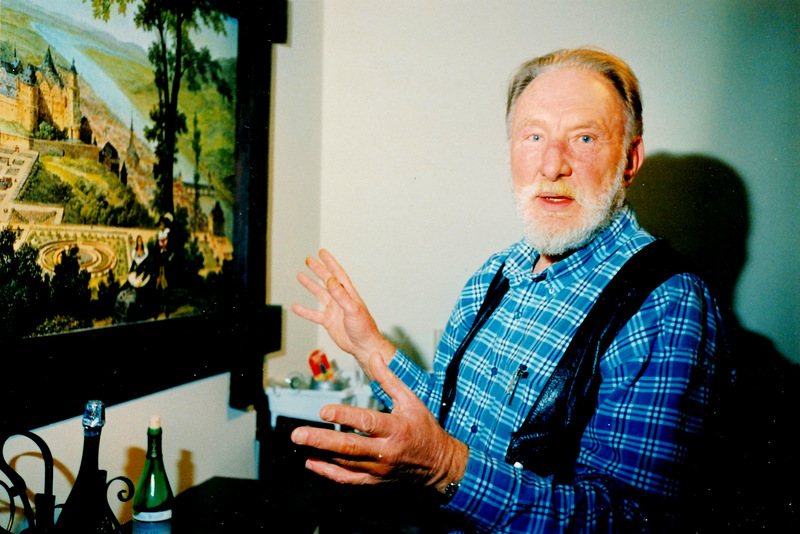 The property also came with the larger than life stories of Harry von Wolff, (right) who had purchased the property in 1987 to develop Nanaimo’s first winery. He had been a member of a prosperous family of landowners until World War 11 and the Soviet occupation of Latvia left his father in a Siberian prison camp and the rest of the family as postwar refugees. Harry, with his mother and grandmother, immigrated to Canada in 1953. He worked on an uncle's ranch in British Columbia's Peace River country for a year and then began a peripatetic career through fifty-eight different jobs over eleven years. A hotel management course in Switzerland led to a career in the hotel business that fostered his interest in wines. With his wife, Helga, Harry settled in Nanaimo in 1977 and prospered in retailing western clothing and footwear. Harry now became a competent amateur winemaker and, after planting a few vines at his home, established this vineyard. An admirer of the wines of Burgundy, he planted Pinot Noir and Chardonnay in the best site, a southwest-facing slope against a sunbathed cliff. His first commercial vintage was 1996 and he opened the winey in 1998. After his death at age 71 in 2005 (Helga died shortly thereafter), his survivors struggled with the vineyard, leasing it to another Nanaimo winery, then selling the grapes and then finally letting it grow wild until Matt and Natalie came along late in 2013. Matt estimates that he pruned “about five years of wood” prior to the 2014 and 2015 vintages. The couple recognized that they “could not wing it” and recruited Mackenzie Brisbois, a graduate both of Niagara College and the University of Guelph, with experience both in vineyards and in wineries. She had been an assistant winemaker at Norman Hardy Winery, Matt and Natalie’s favourite Prince Edward County winery. Ready to take on the challenge of helping the new owners turn around Chateau Wolff, she arrived in April 2014, staying through the season and the crush before returning to Prince Edward County in 2015. Matt and Natalie (and their 18 month old daughter, Siena) handled the vineyard and the winemaking themselves in 2015. When they needed help picking the grapes, they invited about 25 volunteers. Matt dipped into his experience as a chef, roasting a pig over a spit to feed the volunteers. Some already have their names on the list for picking in 2016. The hand of an experienced winemaker shows in the quality of the wines that launched the Chateau Wolff revival. These excellent wines, because production is limited, are available at the tasting room (open now on weekends and by appointment) and in a handful of Nanaimo and Victoria liquor stores and restaurants. They are well worth seeking out. Here are notes on all the wines they released, except for Chardonnay, which is sold out. Chateau Wolff White Blend 2014 ($15). This is about 85% Viognier with Bacchus and Siegerrebe completing the blend. The wine begins with fragrant floral aromas, leading to flavours of apples and pears and a crisp finish. 88. Chateau Wolff Pinot Noir 2014 ($25). Aged in French oak for nine months, this wine has spicy aromas and flavours of cherry. It has good intensity on the palate and the fine tannins give it a good texture. 88-90. Chateau Wolff Syrah 2014 ($25). Syrah grapes were purchased from Naramata Bench vineyards (and were purchased again in 2015) so that the winery could make a big red from a variety not grown on the island. This wine begins with an appealing aroma of red fruit and white pepper. It has classic gamy flavours of meaty red fruit and pepper. There is a hint of spice and raspberry on the long finish. 90. Chateau Wolff Rouge 2014 ($18 for 375 ml). This fortified wine from the estate’s Dornfelder grapes is a tribute to the port-style wine that Harry called Grand Rouge. This wine begins with appealing sweet fruit aromas leading to flavours of black cherry, fig and liquorice. 88. Chateau Wolff Sparkling Cider (Not for sale). This excellent cider is an extension to the traditional Wolff portfolio. Closed with a crown cap, it opens with froth of bubbles. You need to pour the first class promptly. It has fresh aromas and flavours of apples, with a defining note of tannin on the crisp, dry finish. With just 7.5% alcohol, this is easy to drink. 88. Since Italy is the theme region at the Vancouver International Wine Festival, it is hardly surprising that numerous Prosecco wines which will on the tasting room floor. The surprise is that one of them will be at the table of Ruffino, one of the great Chianti producers. It added a Prosecco to its portfolio five or six years ago. That tells you something about how Prosecco has been taking the world by storm. The Ruffino winery was established in 1877 by Ilario and Leopoldo Ruffino. The winery was sold in 1913 to the Folonari family. Even though that is also a distinguished winemaking family, the Ruffino name has never been allowed to disappear. The Ruffino reputation was made (and is sustained) with Chianti. Ruffino was the first Chianti producer to export to the United States. The winery also was named an official supplier to the Italian royal family when Italy had a king. Riserva Ducale Chianti Classico, the winery’s flagship red, was first produced in 1927. The name recognizes the winery’s royal patronage at the time. Victor Emmanuel 111, the last king of Italy (and the king who had Mussolini arrested), abdicated in 1946 and died the following year in exile. Why would a Chianti producer extend its production to Prosecco? The Glera grape, the main Prosecco variety, grows in northeastern Italy, across the Italian peninsula from Tuscany. Well, consider how Prosecco sales have grown in British Columbia alone, never mind in the world at large. The first Prosecco was listed here in 1995. Now the Liquor Distribution Branch lists 28. That does not include the Ruffino example which is just being introduced to the market. Sales of Italian sparkling wine in British Columbia (nearly all of it is Prosecco) hit $100 million in the 12 months ended March 31, 2015, up a whopping 28% from the previous year. In fact, Prosecco sales have nearly doubled in the past two years. Prosecco gets its bubbles by being fermented in a pressure tank, not in individual bottles. The full-bubble wines are called spumante while those with less effervescence are called frizzanté. Tank fermentation has two advantages: the wines, which usually are dry, are much fresher than bottle-fermented wines; and are considerably cheaper to make. Most sell here under $20. Barbara Philip MW, the LDB product consultant responsible for this category, explains the appeal of the wine. The Ruffino Prosecco was poured at a recent tasting sponsored by the Wine Festival for media and trade. It is an impressive example, starting with elegant packaging. It is crisp and refreshing, with energetic bubbles, fruity aromas and flavours of apple. I scored it 90 points and I fully intend to revisit the wine at the Ruffino table during the festival and pick up a few bottles at the festival’s wine store. At the start of 2015 vintage in mid-August, I dropped in at JoieFarm Winery to see how owner Heidi Noble was doing. She was a little stressed. Robert Thielicke, who had been a member of the winemaking team for a number of years, had left a month before this abnormally early and hot 2015 vintage began. This week, JoieFarm began bottling its aromatic whites and rosé from 2015. “I could not be more pleased with what has come out of 2015, as difficult and challenging as it was,” Heidi says. She has decided not to recruit another winemaker after seeing how JoieFarm staff rose to the challenge. Veteran cellar hand Karl Duda “challenged himself and competently worked by my side to tackle the harvest,” she says. Others into the fray included several people who had been hired earlier in the year to get JoieFarm’s new wine shop open. These include Tyler Archer, who had come from Painted Rock Winery where he had opened a tasting room earlier. He has actually worked 14 vintages, both in B.C. and in the southern hemisphere. “That was not necessarily what I hired Tyson for in the spring,” Heidi says. “But he was an invaluable asset to have in such an emergency situation, in terms of how early the crush was. He was able to jump in without very much guidance. Tyson, [tasting room manager] Jennifer Carter and [hospitality director] JJ Skidmore worked through August and September finishing our hospitality season while gracefully tackling harvest on the crush pad alongside myself and Karl as a unified team,” Heidi recounts. As well, the winery’s administrative staff - General Manager Noelle Starzynski, Amy Campbell and Sogol Jalali – all pitched in as needed. The year was one of the most momentous for the winery since JoieFarm, now making 15,000 cases a year, opened in 2005. In 2015, Heidi became the sole owner after purchasing the interest of Michael Dinn, the winery’s other founding partner. Secondly, the winery for the first time opened a tasting room, making the wines much more accessible to the crowds that tour along Naramata Road each season. Thirdly, the winery installed a pizza oven and began selling pizza to visitors. Heidi says this was like “opening a new business.” However, increasing the winery’s direct-to-consumer sales had become critical. She goes into the new sales year in good shape. Virtually all of the winery’s 2014 and 2013 wines are sold out. The market will begin to see the 2015s in March. Last year, I reviewed a number of Joiefarm wines. However, three that were released in the midst of that hectic vintage ended up being overlooked before Christmas. Since the wines still are available in the market, here are notes. JoieFarm Gamay 2013 ($24 for 450 cases). In the notes on the wine, the winery explains that “we work with Gamay because we feel that it naturally excels in the cool climate desert of south-central British Columbia.” The grapes are from the nearby Deep Roots Vineyard whose own Gamay confirms that this is very good terroir for Gamay. The JoieFarm example is a wine with bold aromas and flavours of plum, cherry and pomegranate. The wine has a velvet texture. The fruit flavours mingle with spice on a long and persistent finish. 91. JoieFarm Pinot Noir 2013 ($24 for 718 cases). Four clones of Pinot Noir from two different vineyards were used to make what the wine calls a “fruit forward style for early drinking.” The aromas and flavours of cherry and spice fill the palate. Bright acidity adds a tangy note to the finish. 90. JoieFarm PTG 2013 ($24). This wine is 55% Gamay and 45% Pinot Noir, made in a style that is called Passe-Tout-Grain in Burgundy – hence the name of the wine. This is a juicy-textured win with aromas and flavours of raspberry and cherry. There is a savoury note on the finish and perhaps even a hint of mocha. 90. The flagship red wine from Kettle Valley Winery is the Bordeaux blend, Old Main Red, named for the vineyard where most of the grapes are grown. The wine is popular among those who collect and cellar red wines from the Okanagan. The winemaking style at Kettle Valley is well suited to collectible wines. The winery’s reds, when carefully cellared, will live 15 years, perhaps longer. I have been researching collectible wines for a forthcoming book. Old Main Red is among those wines. I am taking the liberty of quoting from the text to provide some background to the wine. The Old Main Vineyard, 1.6 hectares (four acres) in size, is on Old Main Road, a thoroughfare near Naramata Village. It slopes to the west, close to Okanagan Lake; it is sun-bathed all summer but the lake effect tempers the summer heat and keeps the vineyard free of frost very late in autumn. The vineyard was planted intentionally in 1990 and 1991 to make a Bordeaux blend. “We have three varietals in that one vineyard,” says Tim Watts, who operates the winery with partner Bob Ferguson. “We have a third each, Cabernet Sauvignon, Cabernet Franc and Merlot.” Malbec and Petit Verdot, the other varietals in the wine, were planted subsequently in a nearby Kettle Valley vineyard. “We were told we were stupid to plant Cabernet Sauvignon,” Tim remembers. “We were told it would never grow. Then we were told after it grew that it would never ripen. Then we were told maybe it will ripen but it will never be any good.” Such was the pessimism in the Okanagan Valley in the early 1990s when the pioneering vintners took a chance on premium varieties. Three other wines were included in the recent release from Kettle Valley. Here are notes. Kettle Valley Adra Station Chardonnay Reserve 2014 ($38 for 119 cases). To make a wine that packs lots of power, the winery allowed the grapes to ripen to 25 brix and then left the crushed grapes cold-soaking three days on the skins before pressing them. The wine was barrel-fermented in French oak. The slight note of gold in the hue likely is the result of skin contact. The aroma and flavours recall marmalade with a touch of oak. The stated alcohol is 13.5% but it tastes a little more robust than that. 88. Kettle Valley Pinot Gris 2014 ($24). The winery’s Pinot Gris style also is singular. Two days of skin contact extracted both colour and flavour in this pink-hued wine. For added complexity, a portion was barrel-fermented. The wine is utterly delicious, with aromas and flavours of ripe apple and ripe pear. The spicy notes on the finish recall crab-apple flavours. The wine has good weight and the dry finish lingers. 92. Kettle Valley Stern Vineyard Syrah 2013 ($38 for 48 cases). There is another powerful wine made with grapes from a Naramata vineyard where production is limited to two tons an acre. It begins with smoky aromas of black pepper. On the palate, there are flavours of figs, black olives, liquorice, dark chocolate and tobacco, with pepper on the concentrated finish. 93. Kettle Valley Old Main Red 2012 ($38 for 430 cases). This wine begins with appealing aromas of spice, cassis, lingonberry and vanilla. On the palate, the vibrant fruit flavours of black cherry, blackberry and plum are framed with notes of vanilla and oak. The tannins are firm but not harsh. The wine should be decanted to immediate consumption; it has the structure and concentration to continue to improve for the next decade before it plateaus. 93. Kelowna’s family-owned Sperling Vineyards has at least two things going for it. One: the vineyard in East Kelowna includes some of the most mature vines in the Okanagan, including a plot of Riesling planted in 1978 and a block of Maréchal Foch planted in 1964. Two: Ann Sperling, one of the owners and the winemaker, is the most capable winemaker to ever grow up in Kelowna. She has been a winemaker since 1984, with a successful track record in B.C., Ontario and Argentina. Winegrowing is her blood. Her ancestors on her mother’s side were immigrants from Italy called Casoro. You might guess at their importance from the fact that a Kelowna street is named for them. Giovanni Casorso came from Italy in 1883 to work at Father Pandosy’s mission before striking out on his own (he was once the Okanagan’s largest tobacco grower). His sons started planting grapes in 1925. Formerly known as Pioneer Ranch, the 18.2-hectare (45-acre) Sperling Vineyards was planted initially in 1931 with grapes and apples by Louis and Pete Casorso. When Pete retired in 1960, Bert Sperling, his son-in-law and Anne’s father, switched to entire property to vines, both wine grapes and table grapes. Ann began here winemaking career with Andrés (now Andrew Peller Ltd.) in Port Moody in 1984 after studying food sciences at the University of British Columbia. She moved to CedarCreek where she was the winemaker from 1991 to 1995, when she moved to Ontario. “I have always wanted to make wine with my parents’ vineyard,” she said later. “I got to make wine with some of the grapes when I was at CedarCreek, but not anything extensive.” She realized that ambition when, with other family members, Sperling Vineyards was opened in 2009. Taking advantage of the vineyard, she began making an Old Vines Riesling in 2008. The wine vies with Tantalus Old Vines Riesling as one of the Okanagan’s best Riesling wines. The two vineyards have similar aspects in East Kelowna. The vines, clone 21B from the Mosel, were planted on the same day in 1978. Since Sperling Vineyards had opened, the portfolio has been augmented to include sparkling wines and Pinot Noir table wines. In 2014, Ann began making orange wines or natural wines (Pinot Gris fermented on its skins without sulphur or any other additive). Something of a curiosity, these wines occasionally are served from kegs in select restaurants. Here are notes of currently available wines from Sperling. Sperling Vineyards Pinot Gris 2013 ($19). Crisp and dry, this terroir-driven wine has aromas of herbs, with flavours of pear and with anise on the finish. 90. Sperling Vineyards The Market White 2014 ($17). This is a lovely aromatic white with spice and citrus aromas and flavours of lime and ripe cantaloupe. The finish, which is off-dry, lingers. 90. Sperling Vineyards Sper … itz 2014 ($22 for 750 ml; $12.99 for 375 ml). This is a light (7% alcohol) Muscat wine; the actual grape varieties here are Perle of Csaba and Bacchus. It delivers flavours of tropical fruit including mango, papaya and peach. 90. Sperling Vineyards Old Vines Riesling 2012 ($32). A few years of maturity have allowed this wine to begin showing classic petrol aromas. It has flavours of honey and lime with a hint of botrytis. With good weight and with a tangy finish, this is a wine that will age well. 92. Sperling Vineyards Old Vines Riesling 2014 ($32). This wine was fermented with wild yeast. It has aromas and intense flavours of lime and grapefruit with a good mineral backbone. 90. Sperling Vineyards Chardonnay 2014 ($30). The wine has aromas of citrus with a toasty note from lees aging. On the palate, there are flavours of peach and apple with a subtle oak expression. 91. Sperling Vineyards Orange Wine 2014 ($NA). Made with Pinot Gris fermented with whole clusters or on its skins, this is an unusual wine. It is bronze in colour, with flavours of apple and pear. The texture is firm and the finish quite dry. 90. Sperling Vineyards Orange Wine 2015 ($NA). The wine’s hues recall blood orange or pink grapefruit. It begins with floral aromas and spicy grapefruit flavours. The texture manages to be firm and juicy at the same time. 90. Sperling Vineyards Vin Gris of Pinot Noir 2014 ($30). The wine has a subtle blush from skin contact. It has aromas and flavours of apple and strawberry, with good weight on the palate. 90. Sperling Vineyards Pinot Noir Rosé 2014 ($19). Dry and crisp, the wine has aromas and flavours of raspberry and strawberry. The texture is full for a rosé and the finish lingers. 90. Sperling Vineyards Sparkling Brut 2010 ($40). Thirty-six months on the lees have give this wine a creamy mid-palate. It has toasty aromas, flavours of green apple and a crisp finish. This is 100% Pinot Blanc. 91. Sperling Vineyards Brut Reserve 2010 ($49.95). This wine is price like Champagne because it tastes like Champagne. It is rich on the palate, with toasty brioche aromas and flavours. This is 75% Pinot Noir, 25% Chardonnay. 92.